The set includes a "velcro" strap so you can mount the battery in old compartments without fasteners. Proper balancing requires several discharge/charge cycles. 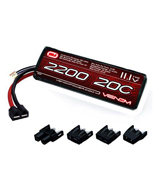 A good battery set, perfect for most middle-class RC model owners. 5.35" x 1.69" x 0.83"
A high discharge current allows you to use this battery for powerful vehicles. 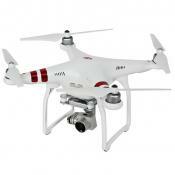 The high capacity significantly increases the operating time. The wires come out of the battery end, which makes using Rustler models more complicated. This battery will let you get the maximum out of the most powerful engine. 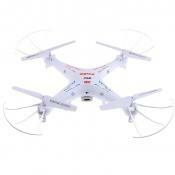 It's an excellent option for those customers who have need for speed and shoot for extreme rally RC models. 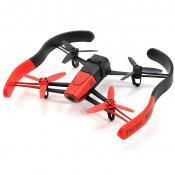 5.47" х 1.85" х 0.98"
A large number of adapters allows you to use this battery with different RC models. 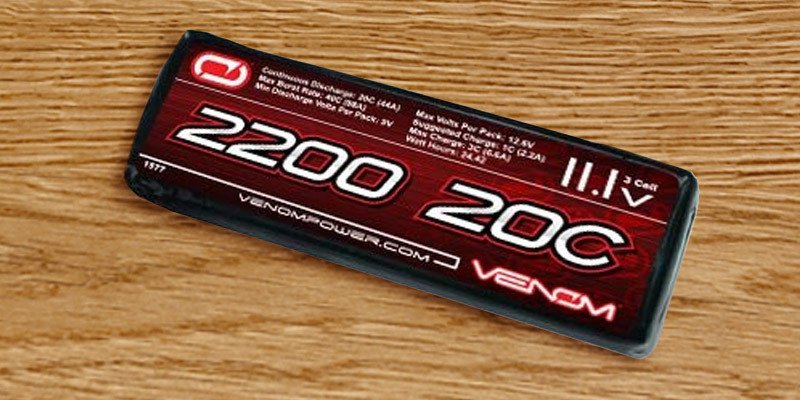 Compared to other batteries of the same class, the Venom RC is one of the lightest. 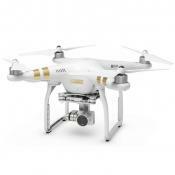 The battery is smaller than the standard ones, so you may need some additional fixators. 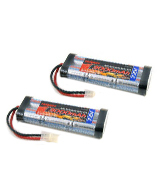 Owing to excellent characteristics this battery can become a great match to a small RC helicopter or aircraft, as well as RC water models. 4" x 1.3" x 0.8"
The charger included in the package will let you charge all 5 batteries simultaneously. You can have difficulty using charging adapters. 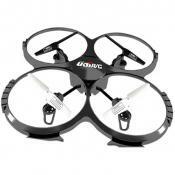 These specialized batteries will become a great buy for owners of small quadrocopters such as UDI 818A and UDI 817. 2.24" х 0.73" х 0.3"
Simple to operate. Shock-proof. A balance charger is not required which makes the price lower. Charging is required after each use. 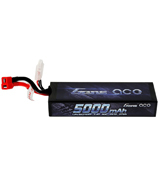 For fans of extreme RC models such as a crawler or a traggi, this battery will become an excellent choice. 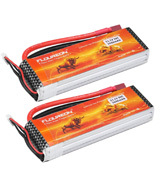 This battery set from Floureon represents the balance of performance and high quality. Each battery comprises three cells that share an equal amount of the peak load to reach 30C charge current. This isn't the highest possible rate, yet, seeing how popular the medium power RC vehicles are, this battery type is the most common. 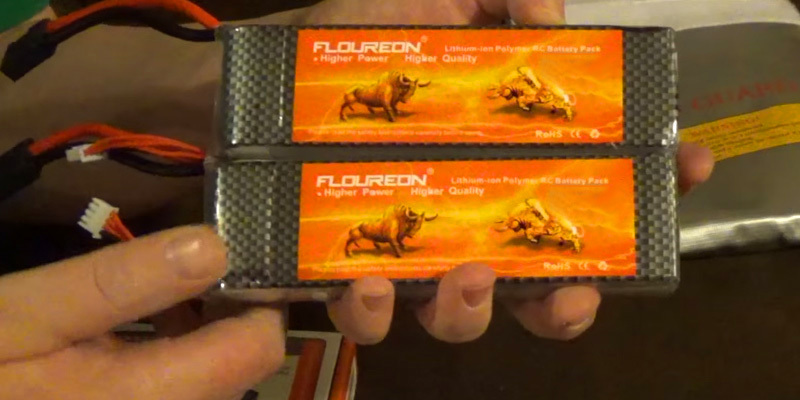 Another obvious advantage of the Floureon Lipo batteries is that they can be installed literally in any RC model of 1:16 scale and larger thanks to their average weight and standard size. The Dean-Style T connector is used here. If yours is different, you can buy an adapter and use it to connect the batteries. The use of the JST-XH connector found in nearly all balance chargers makes it possible to use it with the one you want. 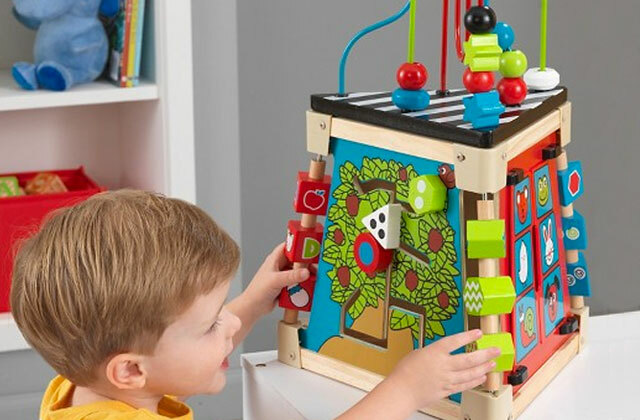 The only thing that might cause some discomfort at the beginning is the long cell balancing out-of-the-box. Typically, it takes several discharging/charging cycles before the battery voltage becomes normal. 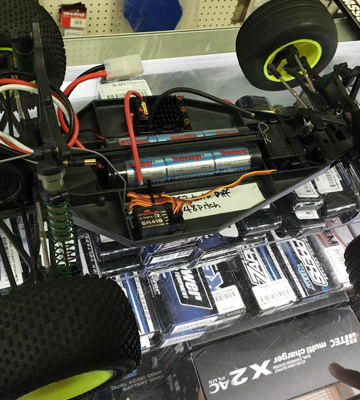 When selecting a battery for a drift model or buggy, the first aspect to pay attention to is the battery discharge current. 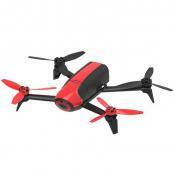 For such powerful models, using of the Gens ace Lipo RC battery with 50C discharge current will be the best solution. Compared to many low voltage batteries that tend to overheat and discharge in a short while, this one will let your vehicle reach the maximum torque and run significantly longer between recharges. 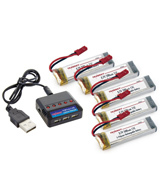 The Gens ace Lipo battery for RC models was specifically designed to fit in the packs of 1:10 and 1: 8 scale models. 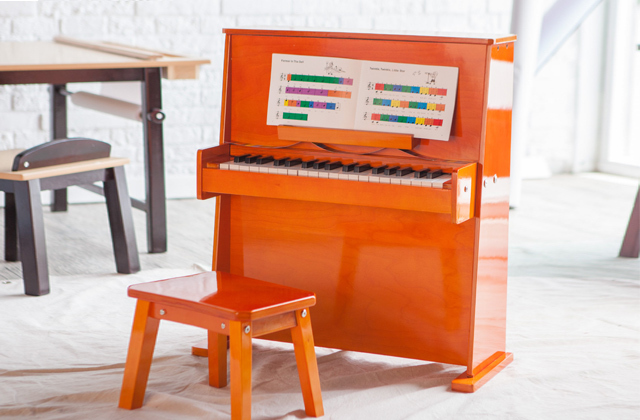 The only thing that confused us a bit is the battery design. The wires that come out of the end of the battery slightly increase its length and hence, make its installation more complicated in models where a battery is located in the center (like in a rustler). Trimming a fixing spacer inside the case can become a solution to this problem though. When we've come across this battery, several of its features attracted our attention. 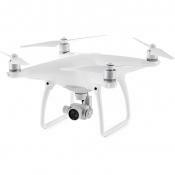 The first one is a number of available adapters that make it compatible with many different RC models. 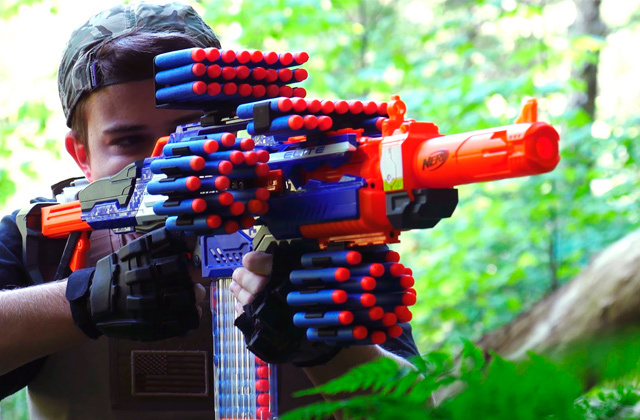 It's equipped with both standard Traxxas and Tamiya adapters and two slots for Deans and EC3 connectors. That the adapters are interchangeable and can be fastened with special latches is a nice addition. 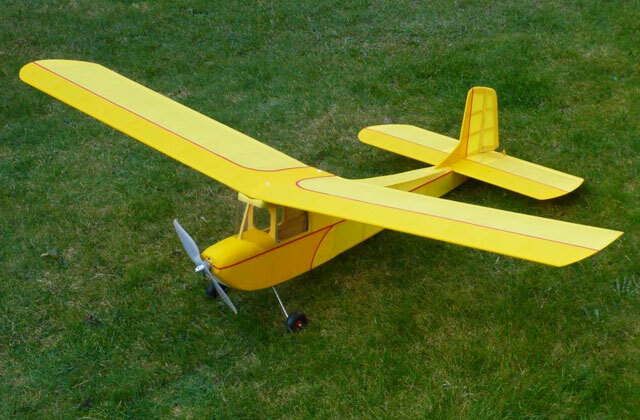 The other thing we liked about the battery is its relatively small weight, 6.2 ounces only, and that it's possible to use it with such RC models as helicopters and sailboats. 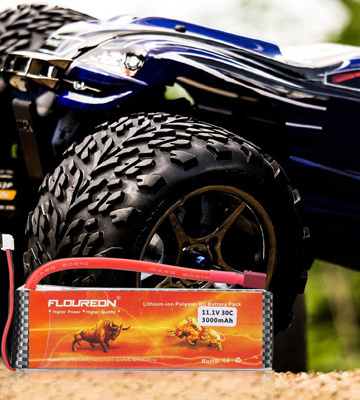 Since this RC battery is slightly smaller in size than the standard batteries, using it with 1:10 and 1:16 scale models is only possible with additional fixators like, for example, foam rubber or adhesive tape. 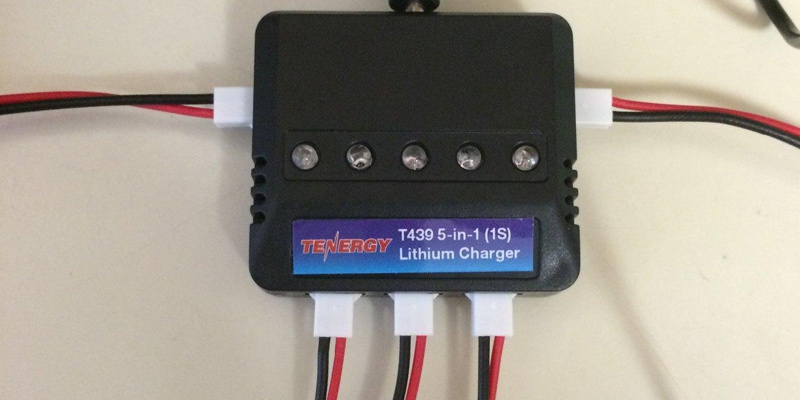 This unique set of batteries from Tenergy will perfectly suit small quadrocopters such as UDI 818A and UDI 817. To our liking, the package includes a brand charger that allows you to charge all five batteries simultaneously. The capacity of each battery is 500 mA which gives an RC vehicle about 35-min operating time before it needs recharging. The recharging takes about 90 minutes on average. 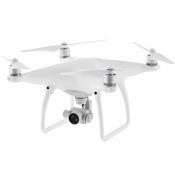 Speaking of other characteristics, the 15 C discharge voltage rate will be more than enough for a small model of quadrocopter, while the small weight of the battery will not complicate the takeoff path of its flight. The charging adapters, though, could be a bit more loose. Removing them might be quite problematic. 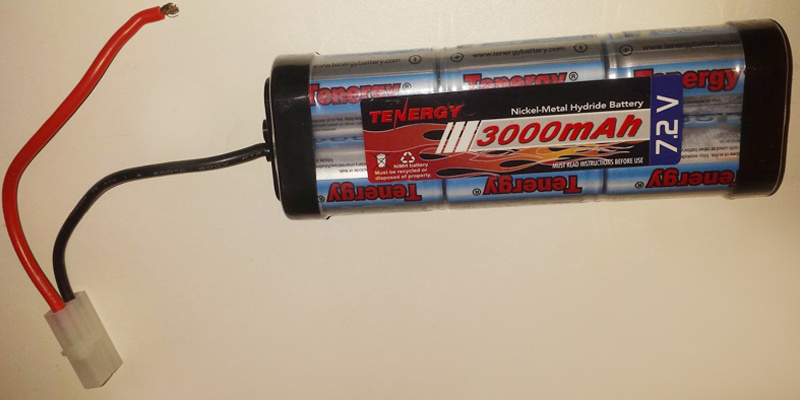 The Tenergy High Power Battery Pack consists of two NiMH batteries that have some evident advantages over batteries of other type. Simplicity of use and maintenance is the important one. 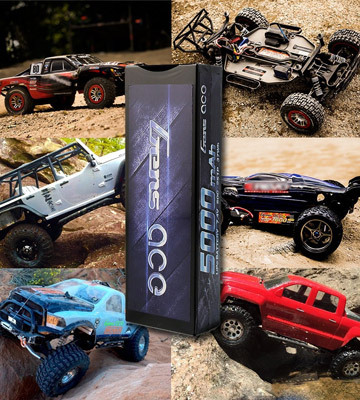 Unlike many other RC batteries, these one resist low temperatures and withstand the conditions of high humid environments. 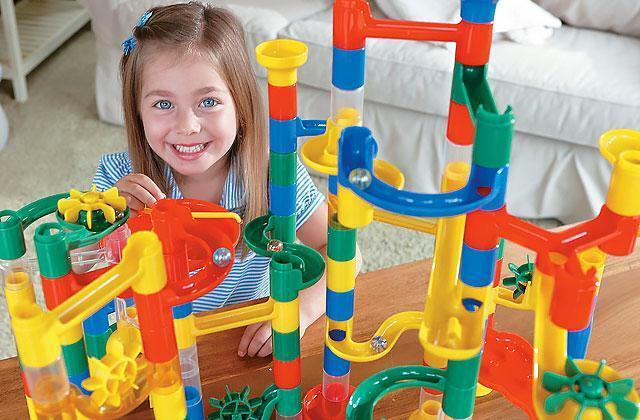 If you're an owner of traggi or crawler, you'll appreciate the shock-proof properties of the set. 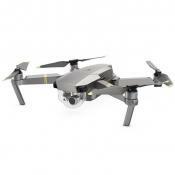 The standard size of the battery allows you to pair it with most 1:10 scale radio-controlled vehicles that come fitted with 7.2 V engines. 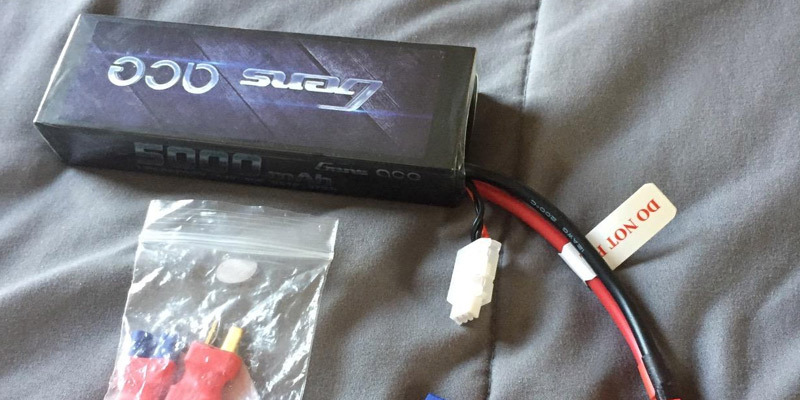 It's worth saying that the discharge current rate here is pretty low so you may want to consider a more powerful RC battery from our review if you own a race car. For other vehicles, however, it will do alright. 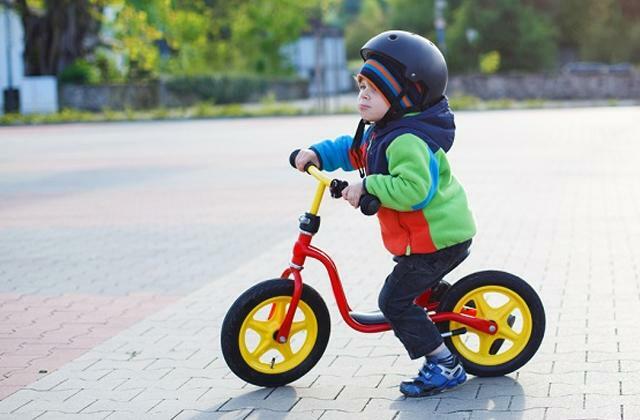 The other benefit of the NiMH batteries is that they don't require a charger. 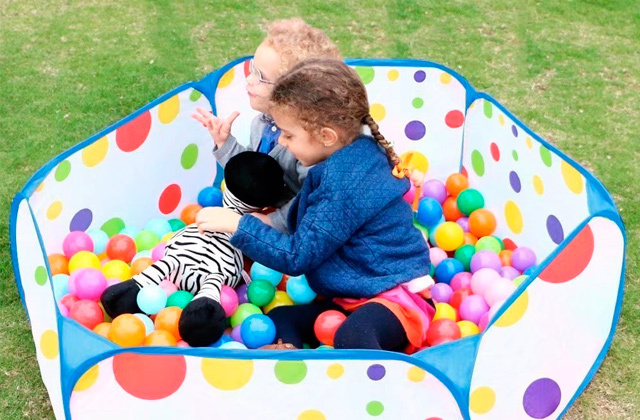 We all remain children as long as we crave for the feel of fun to distract from the rut. 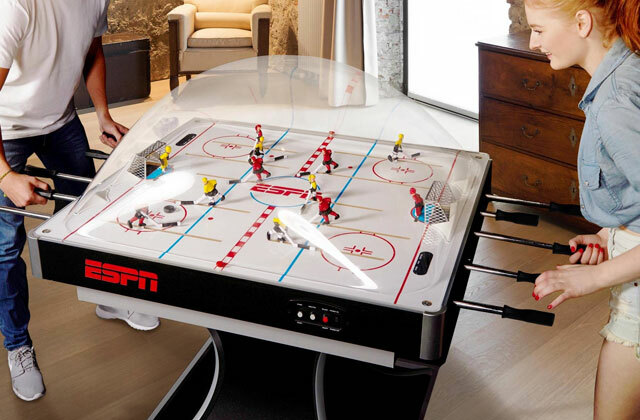 Modern technologies offer us a lot of ways to enjoy ourselves. 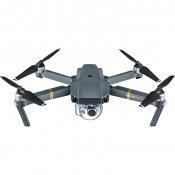 Now the radio-controlled models are getting extremely popular with adults and kids alike. Technologies are rapidly evolving and what earlier looked like small toy cars and boats now have transformed into real fast machines capable of speeding up to 100 miles per hour. 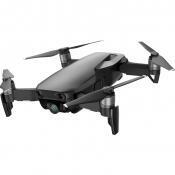 The emergence of radio-controlled vehicles has also put a demand on introducing new batteries that would provide ample power to juice up both low-speed and high-speed motors and won't add weight to them, which is especially important for such toys as RC Helicopters or RC Blimps where each ounce matters. In this review, you'll find 5 most common battery types to choose form. 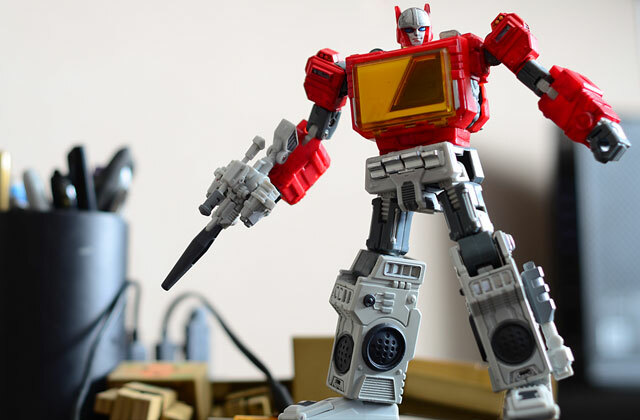 Hopefully, our tips will help you pick a suitable one for your particular radio-controlled vehicle. 1. 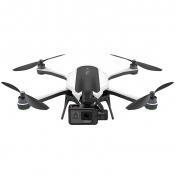 Choosing a LiPo Battery, FliteTest. May 19, 2012. 2. 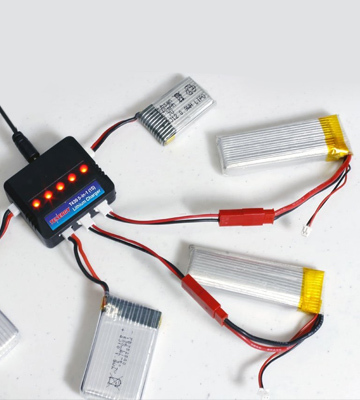 How to Choose the Best FPV LiPo Battery, Hatena Blog. May 26, 2016. 3. Traxxas Battery Basics, Traxxas. 4. Jordan Bunker Power Your Project: How to Choose the Right Battery, Magazine. July 20, 2015. 5.T.D. 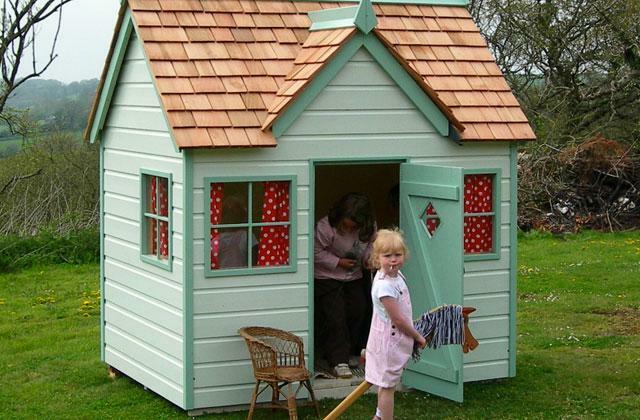 Wood Batteries: How to Choose, Rei coop. September 11, 2017. 6. 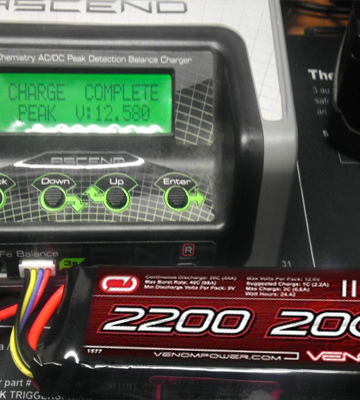 Steps to selecting the right battery charger, RACQ.